The 20-year old left back started his career as a trainee at Tottenham Hotspur after being spotted playing for Harlow & West Essex Schools. After representing the Spurs Academy and a short spell at Charlton Athletic, Mark had a trial at Southend United at the start of the 2004/2005 season, and after impressing, signed on as a scholar. In December 2005, he was loaned out to Conference South side Lewes in order to gain first team football, but at the end of the 2005/06 season, he found himself surplus to requirements at Southend, after the club had just achieved promotion to the Championship. He was snapped up by Grays Athletic in August 2006, but found first team opportunities limited at The Recreation Ground. He went out on loan to Conference rivals Crawley Town, playing nine games and scoring once, then went on loan to St.Albans City in February 2007. 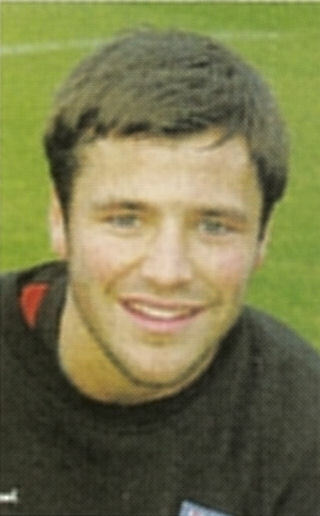 Mark joined Diamonds on 19 March 2007, three days before the closure of the loan deadline and made his debut in the Hillier Senior Cup Final against Woodford United the following day. He returned to Grays at the end of the season and was released, joining Bishop’s Stortford in August 2007. In December 2007, he joined Fisher Athletic, and although he started off the 2008/09 season with Fisher, he moved to Thurrock in September 2008, before returning to Bishop’s Stortford in February 2009. He left to become a nightclub promoter, before taking a lead role in a cult TV reality show entitled “The Only Way is Essex” (TOWIE) between October and November 2010. After an initial ten episodes, a second series of 14 episodes started in March 2011, with a third series due to start in September 2011. At the same time, Mark signed for Isthmian Division One North side Heybridge Swifts on 12 September 2011, although he didn’t make his debut until 2 weeks later in the 0-3 home defeat to Redbridge. His stay was short lived however, and he joined Conference South side Thurrock on 24 October 2011, but was unable to make his debut the following day due to filming commitments. He also missed the next couple of games, before jetting off to Australia to take part in the 11th series of the ITV programme “I’m a Celebrity – Get Me Out of Here” at the beginning of November. After 22 days in the jungle, Mark narrowly failed to become “King of the Jungle”, finishing as runner-up on 3 December 2011. He never actually played for Thurrock and on 11 January 2012, signed for Southern League Division One Central side St.Neots Town. He is now a full-time on the TV Reality Show scene.